The Town of North Hempstead is drafting a law that would ban recreational marijuana retail stores, said Town of North Hempstead Councilwoman Dina De Giorgio. The proposed law is the third being considered by the town to regulate the sale of marijuana. The first two laws, which the town is holding a public hearing for on Nov. 20, would create zoning regulations on where a medical marijuana dispensary could be located and bar medical marijuana facilities from selling marijuana to non-patients if recreational use becomes legal in New York. The board plans to set a public hearing date for the third law on Nov. 20, and the hearing will likely be in January, De Giorgio said. The legislative move comes in anticipation of New York potentially legalizing marijuana next year and in response to residents protesting a medical marijuana dispensary’s proposed move to Northern Boulevard. Voices she’s heard have mostly been from Manhasset, including thousands who signed a petition against a request from MedMen, the operator medical marijuana dispensaries, to relocate a current facility in Lake Success to a retail location on Northern Boulevard, she said. Tax revenue of a black market drug moving to the legal market is commonly seen as a perk for governments and communities. “It’s unclear to me how much actual revenue the town will receive, and I don’t think legalizing a dangerous drug to get money is something that the government should do,” De Giorgio said. An assessment that the state released found marijuana to have minimal negative health effects. Legalization has been proven to dull the impact of opioids, which can cause overdoses, it said. A pre-emptive ban can always be changed, De Giorgio said, but right now she feels an urgency to pass it because of sentiments in the town and the timeline the state is working on for legalization. 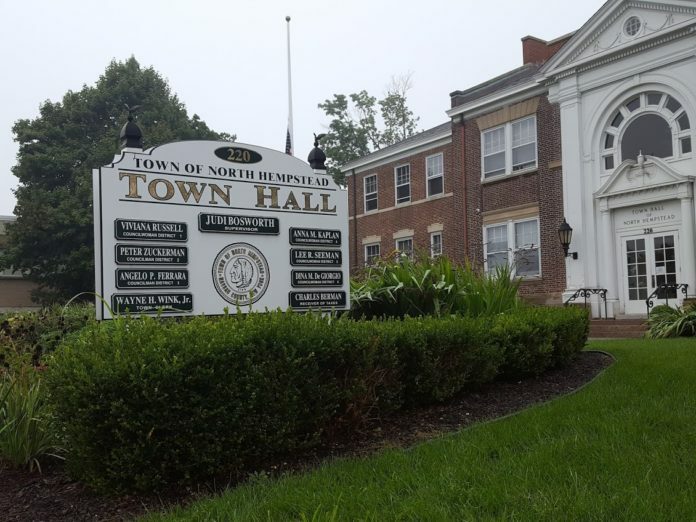 While towns in New Jersey have passed similar legislation, she said, she thinks North Hempstead is among the first in New York to consider it. Town Supervisor Judi Bosworth and Councilman Angelo Ferrara have said they support the law, De Giorgio said. She does not know the position of the other four councilmembers. The public hearing will help gauge opinion about the proposal, De Giorgio said.